Volunteers make the Green Project happen. Short- and long-term individual volunteers help the Green Project thrive! Volunteers work in our donation driveway, warehouse store, paint recycling center, special projects and more. At the Green Project, you’ll get hands-on experience salvaging usable materials and will actively help make New Orleans a sustainable city. We welcome students in need of community service hours, adjudicated community service volunteers and members of the community simply looking to get involved. 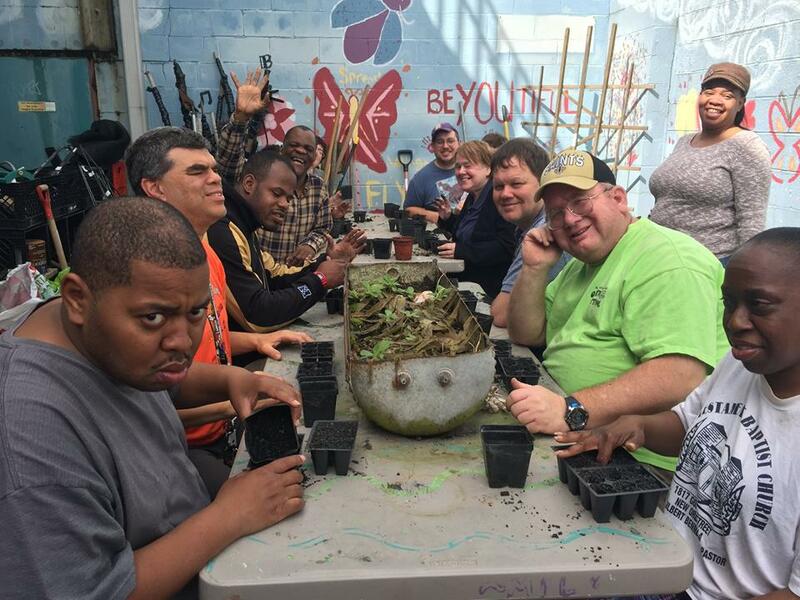 The Green Project hosts group and corporate volunteers for team building events and dedicated volunteer days. These groups help out with paint recycling, build days, community development and more. We can even come to you! To learn more about group and corporate opportunities, please email Catherine Crowell at ccrowell@thegreenproject.org.